When it comes to keeping bikes on budget one area that manufacturers often pick as a place to scrimp and save is with the wheelset. Consequently, a new pair of hoops is a quick and easy way to revitalise an old nag. So as well as its new Apex groupset, SRAM has also released some new wheelsets. Despite their relatively low price tags all the wheels come with some pretty impressive features, including specific rear spoke lacing, oversized alloy axles, wide bearing position and Sapim double-butted stainless steel spokes. The S27 AL Comp is an entry-level wheelset, perfect for training duties, which comes in at 1,620g per pair and costs £399.98. The S30 AL Sprint wheelset costs £599.98, weighs 1,495g, and could be used for competition as well as training. 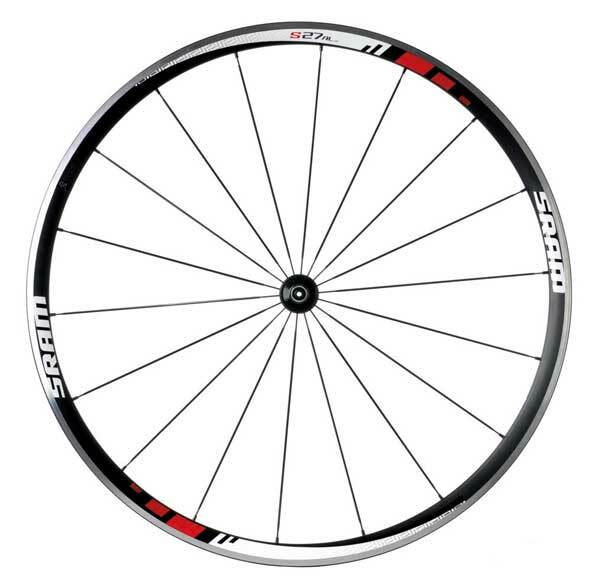 Meanwhile at the top-end is the S30 AL Race wheelset, which weighs 1,430g and costs £799.98.